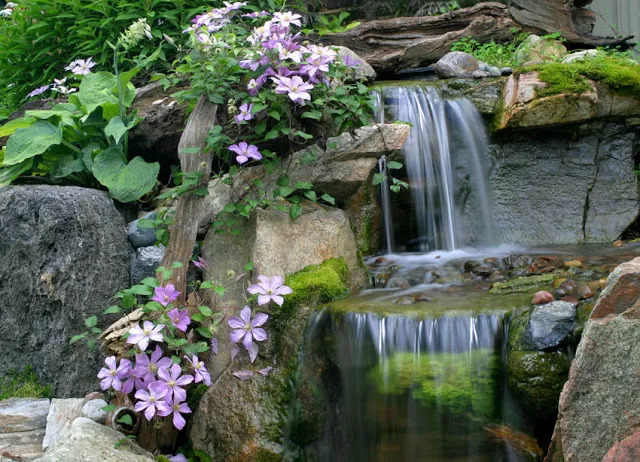 The Climatis flower curls its way toward the water, creating a beautiful contrast of lavender petals to the bright green moss clinging to the rocks. 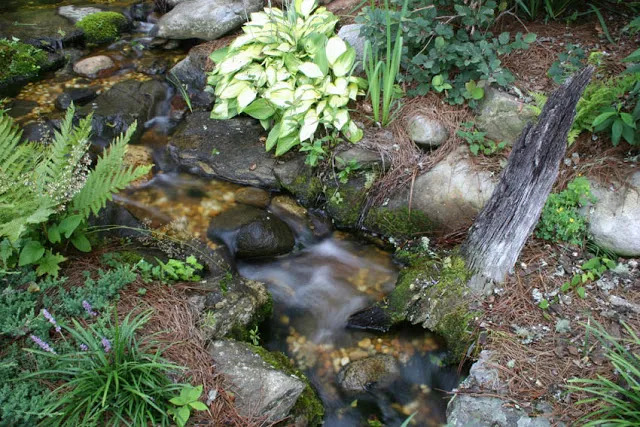 This babbling brook has company: look at the tiny masses of moss creeping over the rocks in this subtle oasis. The alligator spitter carefully watches and contributes to the moss that peeks through the crevasses of these rocks. 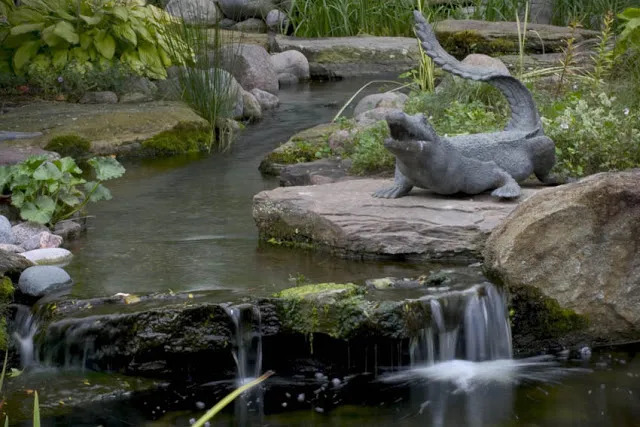 Sometimes you can transfer your moss to add touches of color in other areas of your patio. 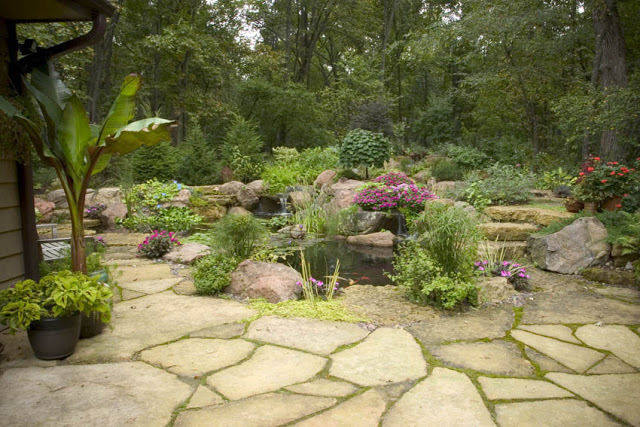 The poss from these waterfalls transplanted to grow between the rocks of this beautiful flagstone patio. 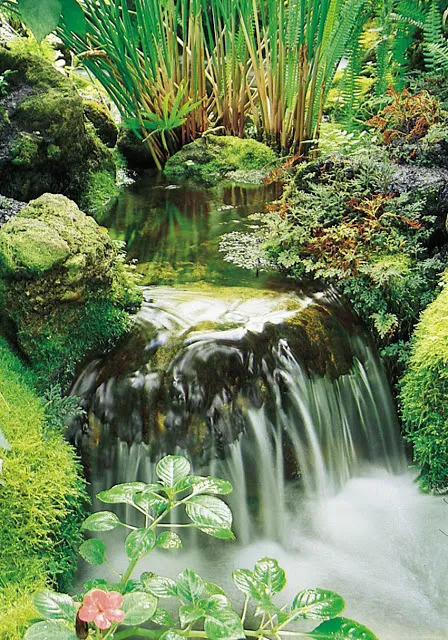 Look at the moss thriving on the surface of this rock, constantly cooled by the gentle waterfall. Of course, you can always access rocks that already have moss intact, and allow for the growth to prosper! This specific water feature has an archaic aged vibe. 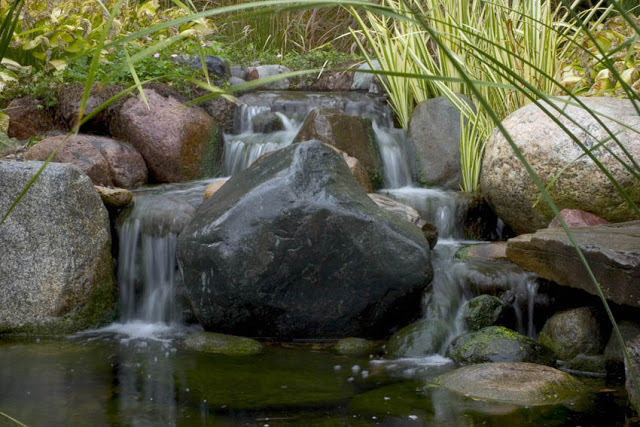 Think about the contrast of greens in your landscape! 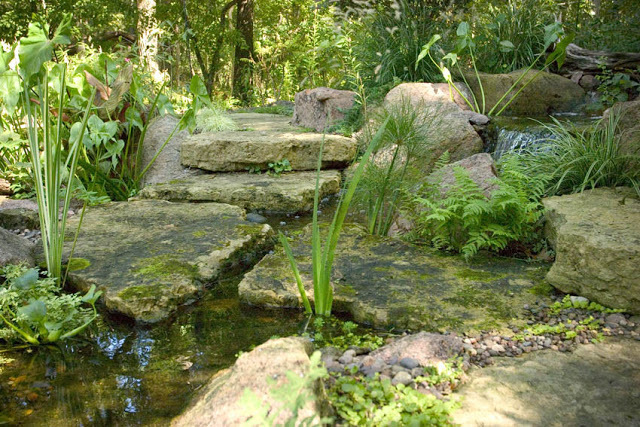 Crossing moss with ferns and other natural plants and grasses means that the light reflects through it all to create a leafy canopy. It’s true, you heard correctly, moss can be feathery. 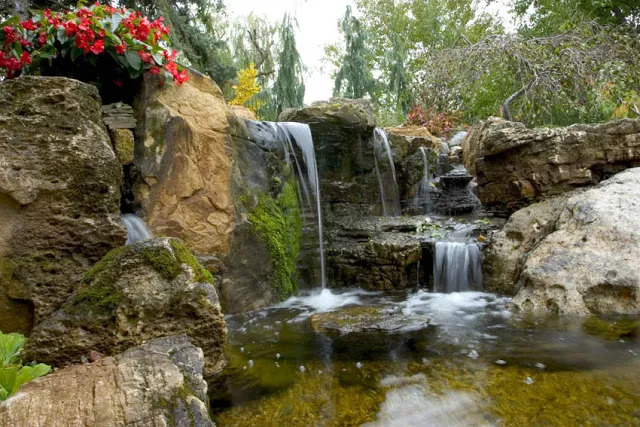 This specific waterfall has moss encapsulating the stones at the peak of the fall, changing the clear downtown to an olive fall of beauty.